We’re back! 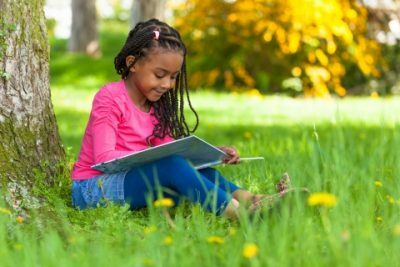 In a recent blog, we began our daycare center’s book suggestion series, starting with books that are excellent to share with your three-to-five-year-old child. We mentioned two classic books that are perfect for early readers and they’re great as bedtime stories: The Very Hungry Caterpillar by Eric Carle, and, Chicka Chicka Boom Boom by Bill Martin, JR. & John Archambault. Today, we’re continuing that theme by offering up a couple more suggestions that you can check out at the library! What happens when you give a mouse a cookie? Well, as we find out, a lot of things can happen when you give a mouse a cookie. Follow along as Laura Joffe Numeroff describes the ever-changing expectations of a greedy yet cute mouse. Your child will love the playful pictures and the character that the mouse exudes. This is a classic tale that’s perfect before nap time, and you can always pair the book with a few of your young one’s favorite cookies! Who hasn’t read Green Eggs and Ham. This book is an iconic work provided by the famous Dr. Seuss. Follow along as Sam-I-Am offers up a dish of green eggs and ham to our main character. You’re child will delight at the colorful images, and they’ll pour over fun, easy-to-read words and rhymes. Green Eggs and Ham is likely a book that you read in childhood yourself, and it’s a book that’s sure to stand the test of time as generations pass on this excellent piece of literature. The fun doesn’t stop here! We’ll be posting more book recommendations for you and your tyke in our upcoming blogs. Check back soon for the latest recommendations from Home Away From Home, your local Florida daycare center.